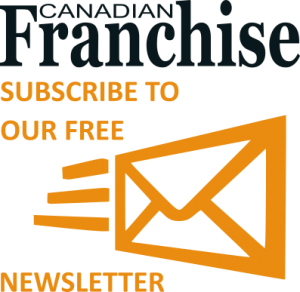 By purchasing a franchise, you are buying a business with a track record of success and commercial viability. This is where research is vital; you need to ensure that the system you are buying into has continued to be profitable over time. Providing the system is followed, there is less risk of failure then with a start-up venture. The franchisor will assist you with the physical fit out of your premises, or if it is a mobile or home-based business, then everything that will be required to begin operating your business within that system. Ongoing assistance is provided by the franchisor. You will also benefit from the knowledge and experience of the franchisor. Being part of a network also allows you to share your experiences and learn from others in the network. Being part of a franchise gives you access to group buying power not available to individual businesses. Through contribution to a marketing fund, franchisees gain the benefits of a larger marketing fund used to promote the whole network. Franchisors may be able to negotiate better rates of finance for funding the business, and/or better lease location and terms if there are premises involved. If the franchisee cannot adhere to the discipline required when following the system, conflict will occur. The process for sale or transfer of the franchise rights is likely to be controlled by the franchisor (as per the franchise agreement), though approval for sale or transfer cannot be unreasonably withheld. The behaviour of the franchisor or other franchisees can affect the brand integrity for other franchisees. If the franchisor goes into receivership, franchisees may face the prospect of having to change brand name and other elements of the system under a new operator. Franchisors’ ability to make changes to the system can affect cash flow and/or profitability for the franchisees. Franchise businesses also face the same challenges as other businesses, such as economic downturn and increased competition.